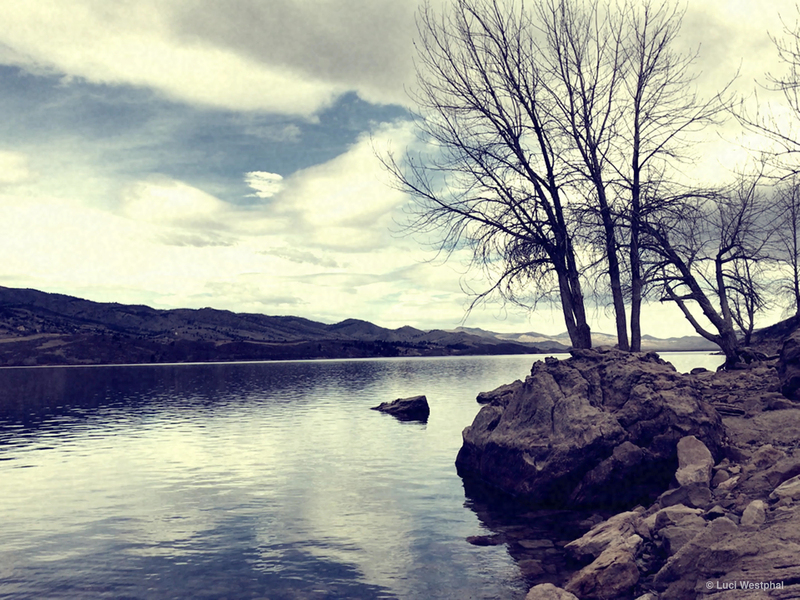 Horsetooth Reservoir, just west of Ft. Collins (Colorado), is beautiful year-round, over almost 70 decades and through various lenses. It has timeless beauty – at least to me. When most of us conjure up images of Colorado’s beauty, we probably think of snow-covered mountains in the winter, summer valleys covered in lush green and an abundance of colorful wildflowers, or the breathtaking vibrancy of fall foliage. But between the winter snows and before the colors of late spring and summer return, Colorado is rather brownish – with blue skies on the good days. And that’s the phase we’ve been in for most of this winter, which has been very mild and dry. Has anyone noticed that I have not published a 1-minute video showing snow this winter? This week, I wanted to film something new for you in Colorado. But at this point, it seems that I’ve already made videos about all the interesting places… and Colorado is currently, at least visually, in its least vibrant phase. So I decided to film one of my favorite local places – but with a twist: Horsetooth Reservoir filmed with the 8mm app on my iPhone. I was hoping it would give the video a timeless feel. After some testing, I decided to go with XPro filter and stick with the 8mm aspect ratio (instead of recording in 16×9). That gave it a bit more authenticity. I also decided to not put any smoothing filters on the footage in post – so it’s as shaky as if it was a handheld 8mm home movie. Ultimately, I was a bit disappointed in the variety and vibrancy of colors. It didn’t help that the day had started out very sunny, but then became quickly overcast. But it was still a lot more colorful to the eye that day than the footage looks. The music in this video is the instrumental version of the song “Beyond The Sky” by Josh Woodward. This song is licensed under a Creative Commons Attribution 4.0 US License. Thank you again and again, Josh, for all your wonderful music! I’ll be posting a few photos from this shoot throughout the week to the In A Colorado Minute 2017 Flickr album, on Google+ and Facebook and there will probably be a picture post on my blog.